I started blogging to create a visual, if verbally spare, history of the events that make up my life. Those events are pretty much non-events to most people, but my family, close friends, and the rest of you lovely people seem to get a kick out of my life from time to time. I'm also a photographer. I can honestly say I would be a photographer even if I didn't blog, but it helps to have a place to display my photographs. My blog has become my very own gallery — the place where I can show my work and detail my history. That history was also something I was interested in before I started blogging. Next month I'll be on the West Coast with a handful of family members picking the brain of my father's cousin. He's the one who knows the most about my dad's people. My grandfather died when my father was just 11, so that line didn't extend very far back in their memories. There are photos we just can't identify. We think this was my grandfather's maternal grandmother, but we don't know for sure, and wouldn't know her first name even then. 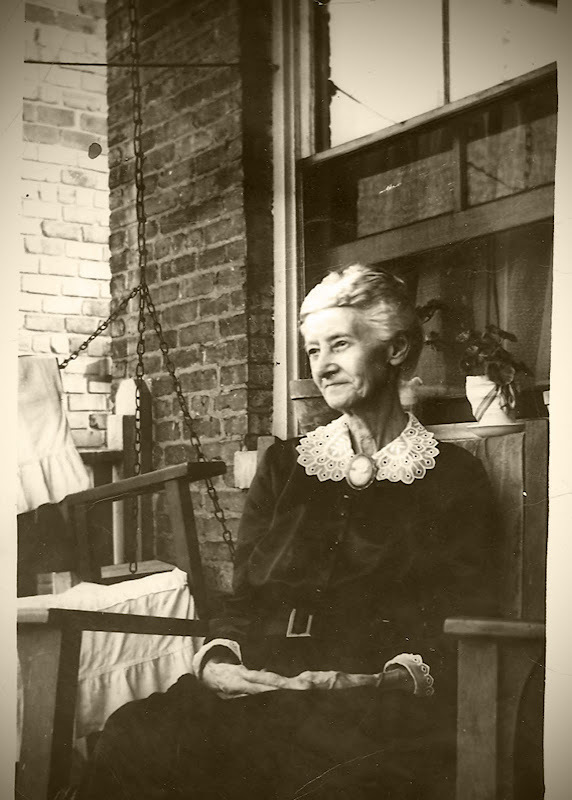 I've always loved this photograph and would like to sit on this porch in a matching Stickley rocker and chat with her. I use family images in my art much of the time. I have to be careful about that though, because I get pretty attached to the pieces, and it's hard to let them go. Our heritage has a way of following us even if we don't follow it. Above are photos of my grandfather, my father and my son. My grandfather — I learned not long ago — was a photographer. I'm grateful for the wonderful pictures of his family left behind. My dad too was a photographer in the army. Are such things in the blood? 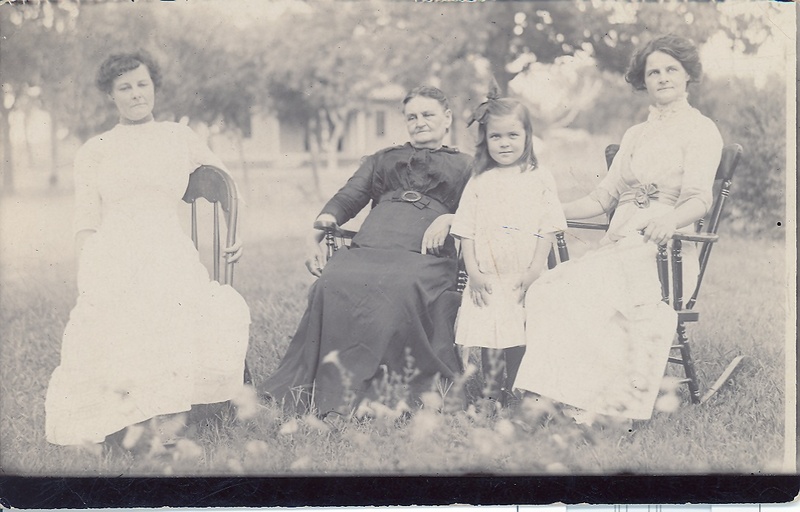 My great, great grandmother -- Mary Ellen O'Bryan Jones -- let out her waistband a little here in this photo with daughters Evelyn and Aurilla and my grandmother (the child) Irvilla. Where do you come from? 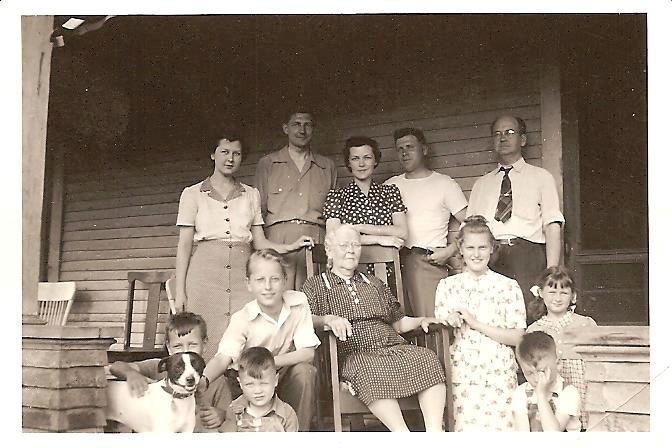 Great post can't wait to share with my daughter,Jessie she follows your blog and has been working on my maternal grandmothers ancestry, Baker/Jones. The Bakers arrived in America in 1655. I'll let her share what's she has discovered. I read that your father was a photographer in the war. My husbands father a commercial photographer for Kodak started out taking pictures in the war too. Wonder if they knew each other. Wouldn't that be funny. What a fabulous post, I love all the photos. The photo of your Grandfather, Dad and Son, such a strong resemblence. 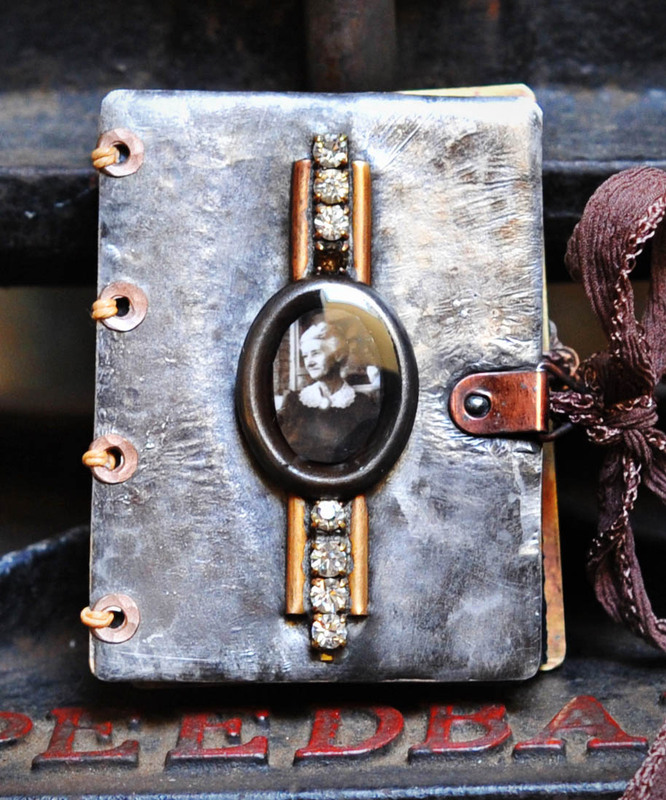 I'm intrigued by the clasp and binding you used on the family journal. Are the binder rings metal or paper? 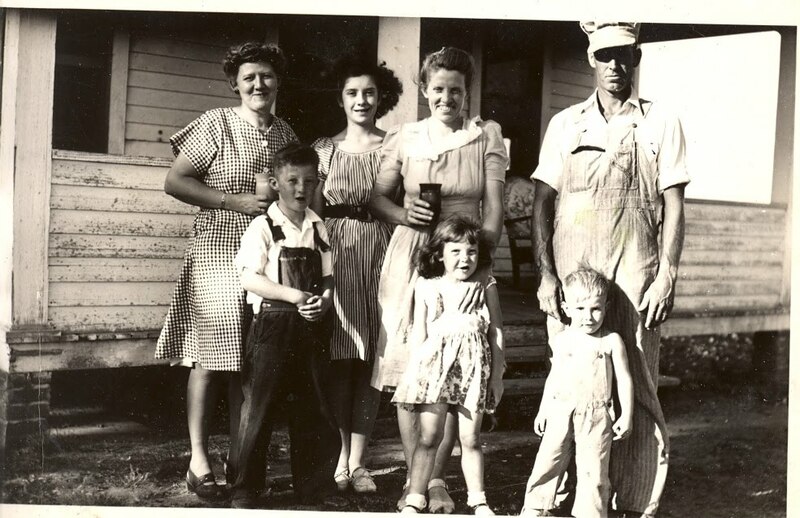 Wonderful family photos and stories! I would like to sit and talk to your grandfather's maternal grandmother, too. She just looks sweet and interesting. My people are Anglo/Irish from Mississippi. They owned 100,000 acres there, but lost it all. Too bad. I would have made on hell of a family wastrel. Laugh. These are lovely images, Leslie. You come from good stock, handsome men and beautiful women! What a treasure, Leslie. I agree with you that when you use family photos you get too attached but in the world of the copyright we have to be very careful. The book is simply magnificent. wonderful, wonderful photos! how fun to go and learn more about these family members. i've been picking my parents brains as well as dillon as been asking me questions that i can't answer about people, photos, etc. fun fact - i do know that we are distantly related to Andrew Jackson! these are AMAZING photos to have....even when I don't know the people I love to look at them...the expressions, clothing, background images. I hope you get the information you are seeking. I've worked hard to find info on my Mom's side with a bit of success (incl some photos) but can find nothing on my Dad's parents and beyond. The more we know the more we know where we come from and whether there are similarities. Your family photos are wonderful! Thanks for sharing some of your history. It's amazing how much your son looks like his great grandfather. Unbelievable! Are you going to Bead Fest. I saw Kecia mention that she's going on her blog and she is taking a class with her friend Leslie. I thought maybe that Leslie is you! You art has spread though multiple forms of expression... Yet you constantly find new ways to tie them all together. The pictures you take share a common warmth... The pictures you cherish are warmed in the way you treat them, bind them, and present them to the world. While I never met Irvilla or most of the others, I have met your dad, and your sisters, and your aunts and uncles... And they have changed my perspective in many ways. Especially your dad, through many of the things he has told me about myself. And I will never forget that warm summer evening at Antiedam, where I told him a few things too. Just typing this has made me realize how long it's been since we've seen your dad and Caroline. Let's go soon.... While the cicadas are still singing. I have so enjoyed this post. Looking at the photos of Grandfather, father and your son. It never ceases to amaze me how the family resemblance continues through the generations. The shape of the mouth, the curve of the jaw repeated down the line. My ancestors come from England (Devon) Scotland (Montrose).... a far cry from my life in South Africa. This is such an Amazing Wonderful heartfelt post! Adore seeing your "people" and knowing New Orleans had something to do with it!!!! Mostly, it IS uncanny the resemblance of your son, father and grandfather! great post - although your face should have been in the line up too! You are the image of your Dad. I believe that one ancestor would be described as 'wasp' waisted! What a story of how she met her husband. Hope you find out tons on your trip. So much treasure, here. Love this. 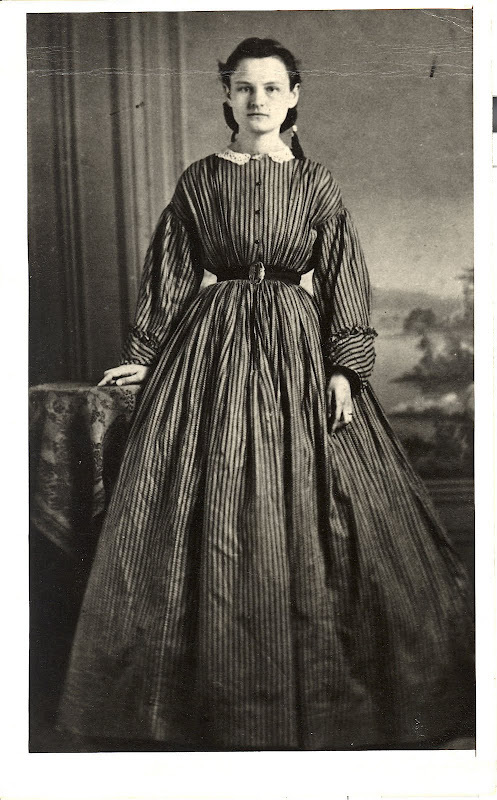 When I compiled my family heritage albums, I realized just how little I and my siblings know. Stories you thought you knew years before suddenly shift a bit under another's oral perspective. It's humbling and poignant. LESLIE -- You may recall that I met your Dad when we were both about 20 or 21 and when I first saw a photo of your son...... I was overwhelmed by their absolute resemblance . I love your BLOG.... it is a piece of art the best photo essay I have seen. I only wish I could capture a fraction of what you do....... and display it the way you do.... You are admired. Once again, your blog is such a delight! The old B&W's are beautiful. The 3 pictures of grandfather, father and son are striking. I'm also partial to the Gnome houses. I am a huge fan of "Poortvliet", his Gnome books changed me forever when it comes to painting and the pretend world. I have to say I was cannot believe the strong resemblance between your grandfather, father and son. Your not kidding about tiny waste either!!! It is incredible. I loved this post - thanks. what fantastic photos and fascinating stories to pass along to your grandchildren. when i was little my grandmother used to tell me wonderful stories about growing up in the early days of california. just wish i could remember them now! Fascinating post and what incredible photographs you have here. I am inspired by them and to me they are strangers. You must get unending inspiration from them. as you can see leslie, i am still reading your blog page by page. believe it or not, i descend from mary boone. i have worked for years on my family tree on ancestry.com. i, too, am the archivist in my family. wish i could show you some of my photos. i will post a wedding picture of my chilean grandparents soon on instagram. love to read you. and, don't forget to reserve one of the tiny book necklaces for me would you? I'm so flattered that you're still reading, Constanza! How interesting that you are also your family's archivist! I look forward to seeing your photos on Instagram, and I hope you do keep reading! Also, I will reserve a book necklace for you or make you another to your liking! I left you a note on Etsy regarding this.